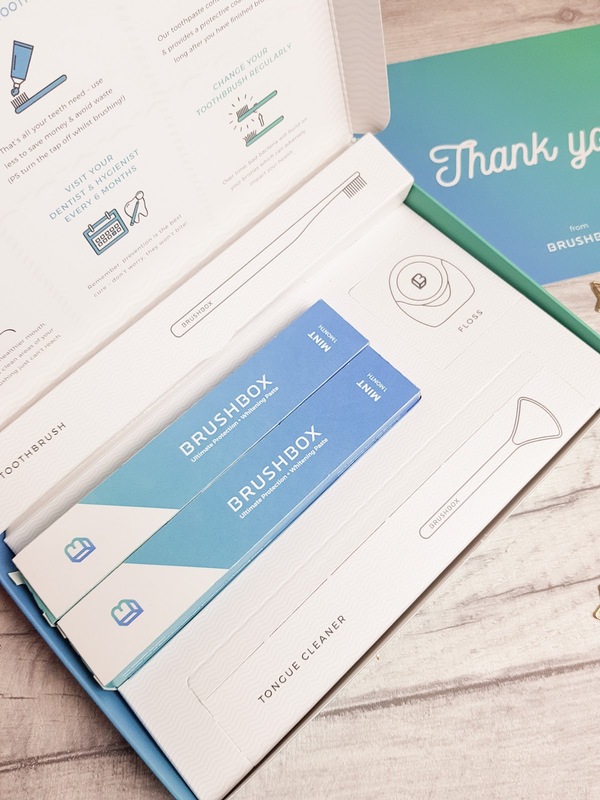 Now, don't get me wrong, I have damn good oral hygiene but I forget to replace my toothbrush as regularly as I should but now I have no need to worry as BrushBox have me covered. 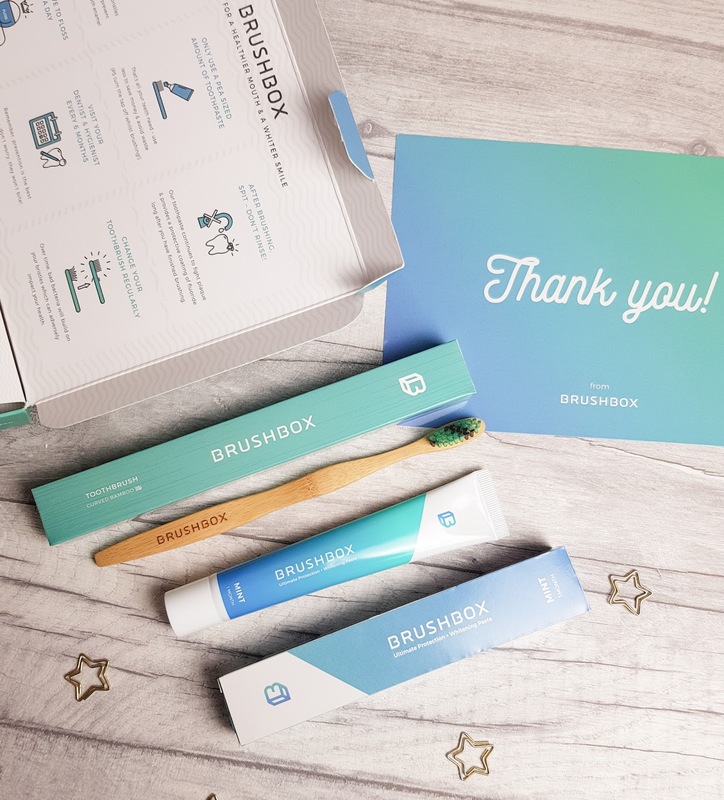 From just £2.50, Brushbox deliver subscription boxes directly to your door, every 2 months - 'cos did you know that's how often you should be changing your toothbrush? The boxes are slim, fit through a standard letter box so no need to worry about the red post office slip if you're out. The items inside are all very well packaged and you can choose which type of subscription box suits your needs. 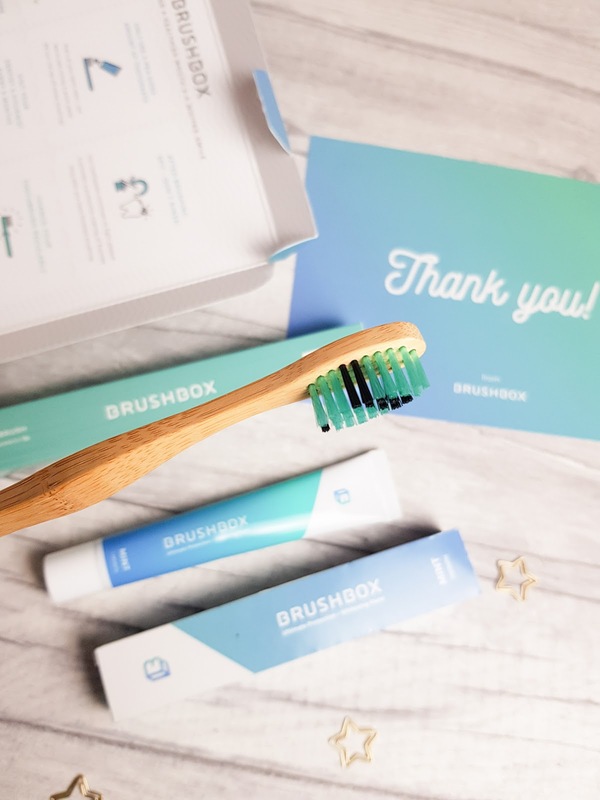 This month I tried out the basic two month subscription box for an adult which included two tubes of toothpaste and an upgraded option of a curved bamboo toothbrush. The toothpaste is pretty basic, minty fresh and enjoyable to use but the bamboo toothbrush was the winner here for me. It's comfortable to use, the goldilocks story of toothbrushes - not too hard, not too soft and hey, it looks damn pretty too. 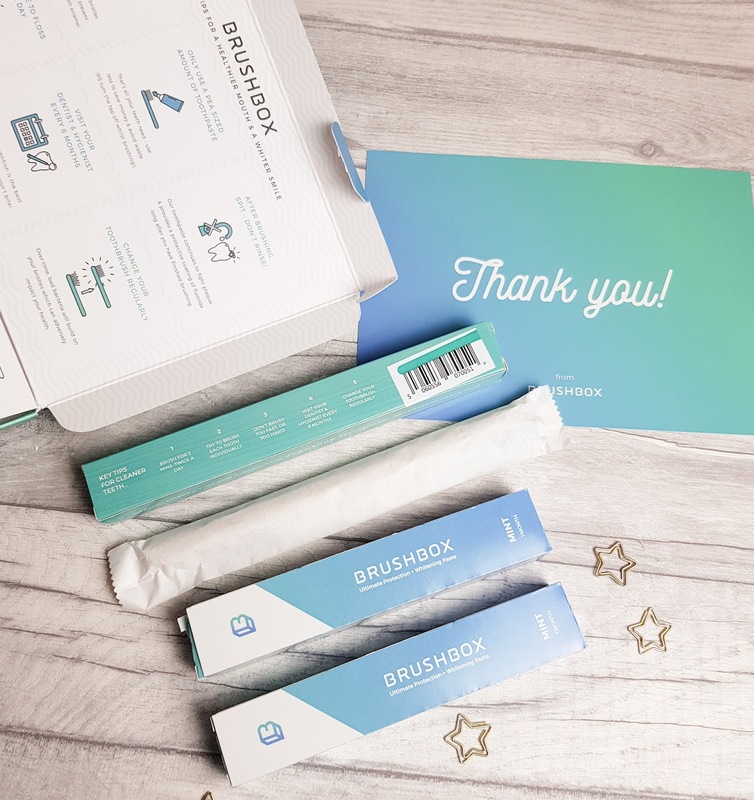 If you're anything like myself and forget to change your toothbrush as regularly as you should, check out BrushBox now. Even better? BrushBox have given me a discount code if you fancy getting your first month for half price: Just enter GILL50 at checkout to take advantage . I had no idea that you should change your toothbrush every 2 months, oh dear oh dear, I have a lot of toothbrushes to throw out when I get home this evening >.< This is such a good idea! Plus the toothbrush looks beautiful!